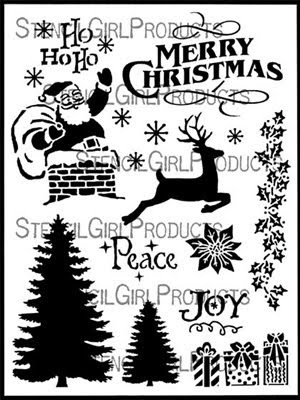 Sherry Canino here for the Stencilgirl Creative Team. 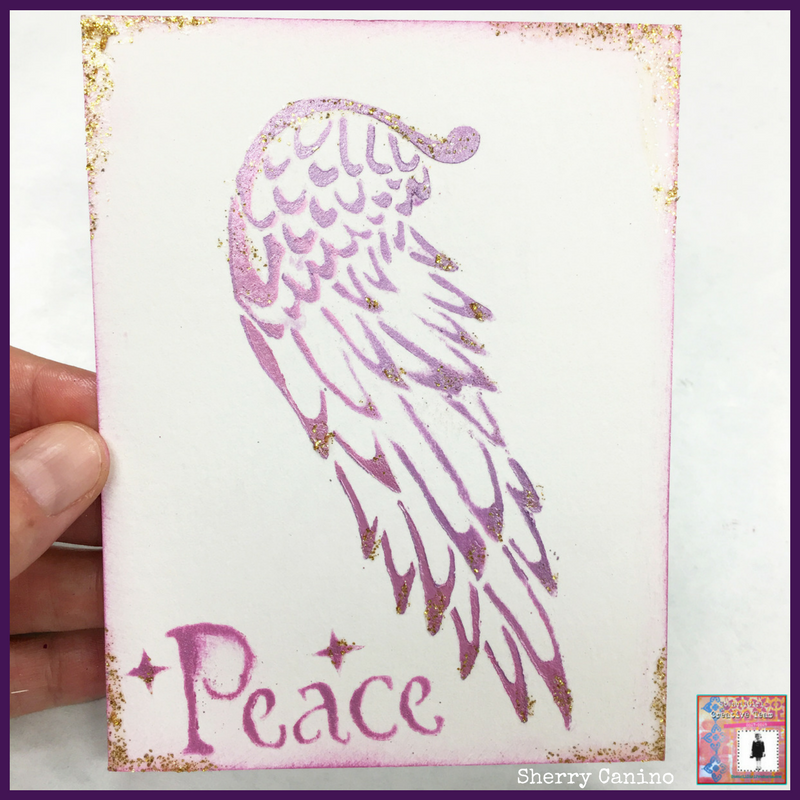 It always seems like the minute I'm ready for the holidays something else pops up and I need a last minute card for an event or gathering that I either didn't plan for or had forgotten about. 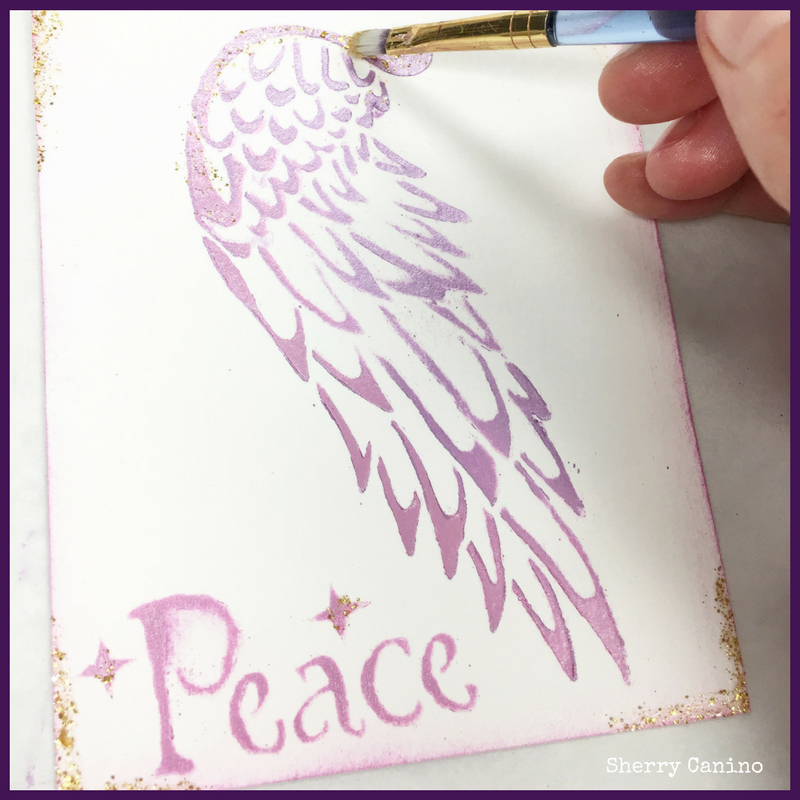 Today I'm here to share with you a quick and easy stenciling idea that you could use as the front to a card, put on a tag or even on a little card that you could add a ribbon to and tie around a bottle of wine. 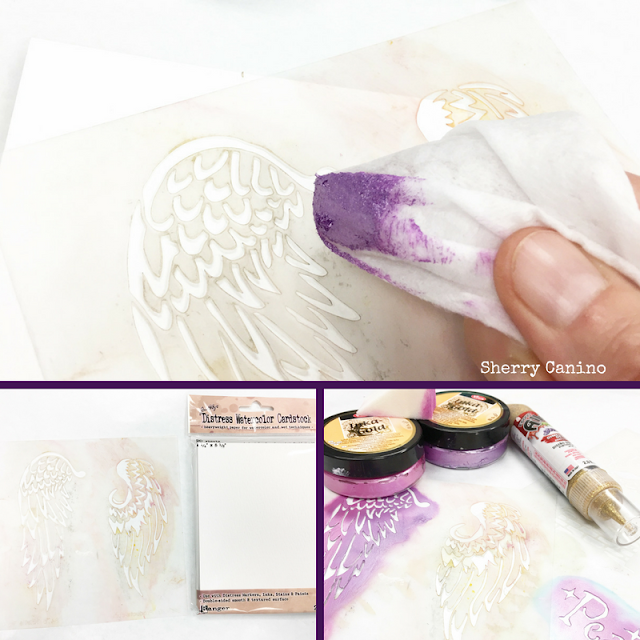 Using the baby angel wings stencil and the Inka gold in Hydrangea with a baby wipe to stencil on the watercolor cardstock. I then go back over the edges lightly with the Magenta Inka Gold to add a 2 toned stencil look. 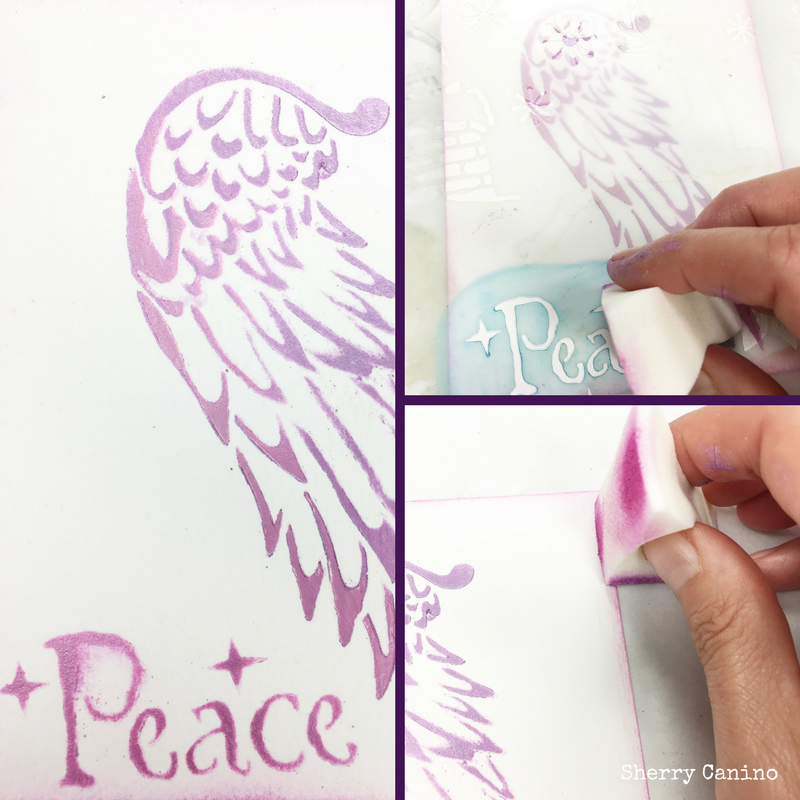 I then switch to a cosmetic sponge (it seems to work a bit easier when you are stenciling a smaller word or letters). I stencil with the Magenta Inka gold the word peace from the Christmas #1 stencil. 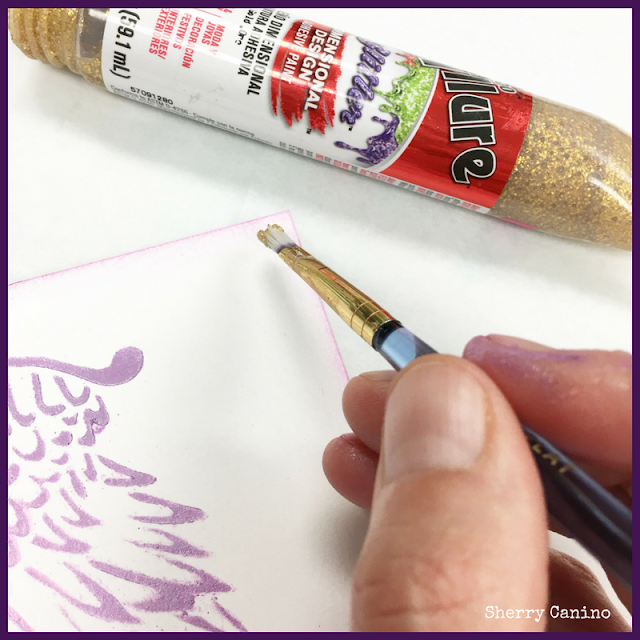 Add some gold glitter to the edge of the 4 corners - I like to use a paint brush with the glitter as it gives me more control of where it's going and I don't want big blobs so the paint brush gives it a nice elegant look. 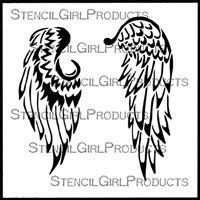 I add a little glitter to the top of the Angel wing and on the tips of the feathers. And your finished piece - you could do this on a tag or any cardstock or even directly onto a card front - super easy yet a beautiful elegant look for that last minute unplanned event or gathering.